Austal is expecting to smash its projected group revenue for FY2019 of $1.3–$1.4 billion due to better-than-expected performance across its business. 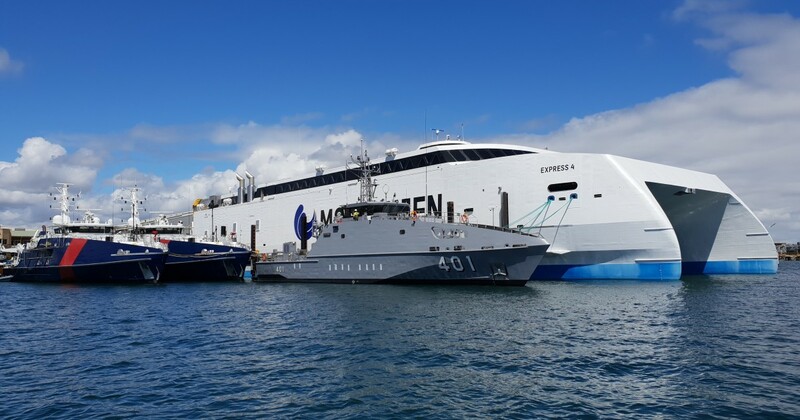 Austal said that following preparation of the draft accounts for the first half of the fiscal year – including updated forecasts from the USA – it now expects FY2019 revenue of approximately $1.9 billion, assuming that the USD / AUD exchange rate continues at the current level. The company attributed the increase in projected revenue to ‘numerous factors’ such as the contract award for two additional Littoral Combat Ships (LCS) in the USA, the better than expected progress in the construction of the previously awarded LCS ships, and the earlier than expected receipt of EPF 13 and 14 long lead material contracts. Also contributing to the company’s improved revenue outlook for the year were the greater support and sustainment revenue growth from contracts recently announced in the USA, the translation of USD revenue in the USA, Vietnam and the Philippines into AUD at a lower USD / AUD exchange rate, and the accelerated construction of a commercial vessel in Australia after securing additional leased shipbuilding facilities in Western Australia. Austal said it would release its interim financial results in the week commencing Monday 25 February 2019.